A new exhibit titled Alabama: Born Country will open at the Country Music Hall of Fame and Museum on August 25. The exhibit will run through June 2017. 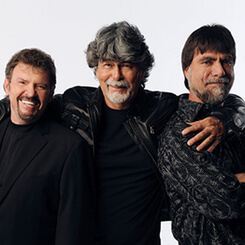 Coinciding, band members Randy Owen, Teddy Gentry and Jeff Cook will perform during the museum’s exclusive member concert, The Big Gig, at the CMA Theater on July 6.